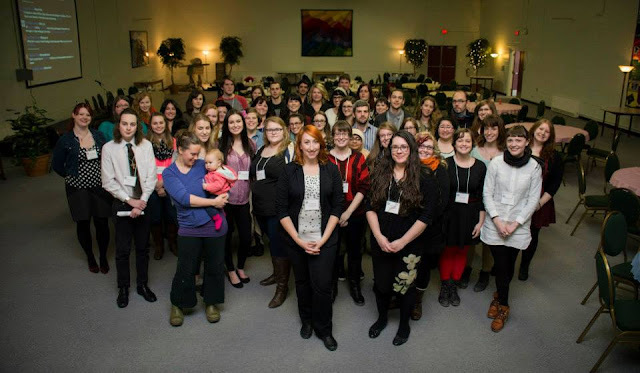 Last March, youth from across Newfoundland and Labrador gathered at The Lantern in St. John’s. They came together from different professional backgrounds and different communities from across Newfoundland and Labrador to talk about one thing – the role of Youth in the heritage sector. It’s time to start planning for our Forum this year! We are having a meeting for next Wednesday, January 20th, 2016, 7pm, at the office of the Heritage Foundation of Newfoundland and Labrador in St. John’s to start making plans for the Youth Heritage Forum 2016. We want your ideas, your feedback, and to build a team to run the event. If you want to be involved, please RSVP to youthheritagenl@gmail.com, or send us a message on our Facebook page:www.facebook.com/YouthHeritageNL. Not in St. John’s? Don’t worry! We can arrange a Google Hangout or something similar to make you part of the conversation.